In essence, it is all the laws of nature and all the mysterious principles which work together to give you the power to create the world you want. And that process of creating your reality is called manifestation. Manifestation is a word which means “creating your reality with the power of your mind”. sitting back in the expectation of your desired objective appearing, sometimes mysteriously, often unexpectedly, in your world. That really is a very basic definition, and as you might imagine in practice it’s a little bit more complicated! For one thing, you have to overcome any limiting beliefs. These are negative thoughts or beliefs which prevent you from manifesting your desires by destroying your belief that it’s possible to get what you want. So what we mean by manifestation is your ability to create your reality using the principles of this mysterious Law of Attraction. You hold the world in your hands – literally! Think of it this way: every single constructed entity or man-made object in the world today, everything you see, everything you feel, and everything you sense, started out as a thought in somebody’s mind. So let’s take for a moment the proposition that everything in the world started out as an idea in somebody’s mind. and finally someone took the action required to start the process of making it happen, so the desired outcome appeared in the world. As you can see, manifestation is NOT something which happens when you sit back, relax, visualize and wait for your desired objective to appear in the world. You need to take action, to do something first! And the action you take causes the other processes – goal setting, visualization, and energizing your mental images so they work together – to create a new reality in the world. We’ll look at the mechanism of manifestation elsewhere, but briefly it’s essentially an energetic process whereby the energy of your mind and emotions affect the primary energetic field of the universe, the source from which every physical thing emerges. 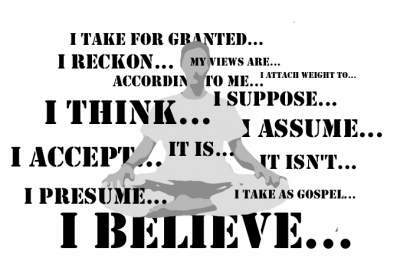 The Law of Attraction is undoubtedly “new-age thinking”. In fact, it’s a product of the human urge to classify everything in the world so we can make sense of it. If you think of one of the well-known laws of physics, like the Law of Action and Reaction, it’s a way of describing what happens in certain circumstances. The Law of Action and Reaction states that “every action has an equal and opposite reaction”. Having a “Law” means we can predict what will happen in certain circumstances when certain things occur together. Laws are basically rules – they describe events which always occur in a certain way under certain conditions, and have been consistently demonstrated for so long, with such certainty, that they can be described as a law rather than a theory. Law Of Attraction determines reality. But belief is everything. In the same way, our Law of Attraction is a set of rules which define how manifestation happens – in other words, this mysterious power sets the rules which determine what you have to do and how you have to do it to make manifestation a genuine reality in your life. There’s nothing to get hung up about when you hear this terminology or jargon: it’s just convenient to be able to say that the Law of Attraction is a known set of rules which determine when and how manifestation happens. Simple, yes? A lot of people want a brief summary of how to create reality, so we’re going to provide one, right here. First, when you’re trying to manifest something, the first step is always to get in the right frame of mind – relaxed in mind and body. You can do this by meditating for 5 or 10 minutes. The state of mind in which manifestation happens is a relaxed one, something like daydreaming. A relaxed state of mind is essential for manifestation. 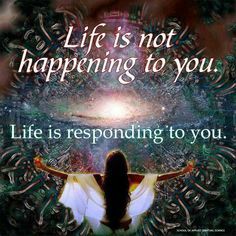 Then life really does respond to you…. Second, you have to be sure about what you’re trying to attract into your life. The law isn’t going to respond to your thoughts if they are chaotic and disordered, particularly if they contradict each other. When you’re creating reality, you’re sending a demand, not a request, to the universe. For that demand to manifest in your world, your thoughts have to be absolutely clear about what you want, and you have to be absolutely certain that you want it. If you send mixed messages, you’ll either get no response at all, or you’ll get some unwanted results which don’t help you. Third, the best way to make your demands known is to visualize yourself as if you are in a situation where your desires have already manifested, as if they are already present in your life. And the more vividly you can do this, the more realistically, as though these things are already present in your life, the more likely it is that the law will respond by attracting what you want into your life. 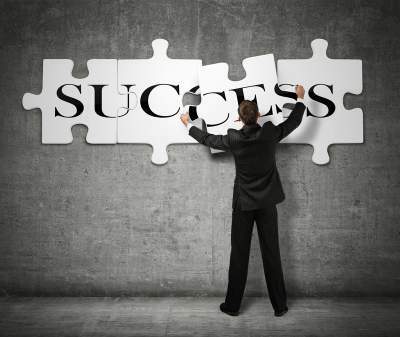 Let the sense of success permeate every part of your being. Fourth, express some strong emotion around what your desires. You might, for example, want to feel the joy, happiness and gratitude that you’ll feel when your manifestation turns into a reality. You can tell the universe what you want in many ways, but one reliable way is to have a clear image of it in your mind, and also to write it down, using all the details you can to make your goal seem even more real in your imagination. Believe you can manifest, and you will manifest! Stay positive! Fifth, keep everything in the present tense. Act as if your goal is in your life right now. But be careful! This isn’t a suggestion that you should go out and spend loads of money you haven’t got. What you’re trying to do here is create a sense that you already have what you want. When you already feel certain you have it, your goal becomes a reality in your mind. And then it can become a reality in your world. Question: A lot of people ask how such an attitude of mind is possible when, let’s say, they’re trying to manifest or attract abundance to pay off debts. As you may know, often people face many more reminders of their indebtedness than they do of their potential prosperity. Answer: We’ll cover all these issues elsewhere on the site, so please don’t just read this introductory synopsis of how to manifest reality, and then go away and try it! There are other things you need to know first! Sixth, although we’ve already mentioned the power of emotion to drive your wish or command out into the universe, it’s worth repeating that gratitude is one of the most powerful catalysts for manifestation. Being thankful for what you receive, what you might receive, and certainly what you already have, seems to motivate the universe to give you even more things to be thankful for. It’s like a turbocharger for the process of manifestation. We’ll look at why this happens elsewhere on the website. Seventh: you have to trust. You have to trust that what you want really can and will manifest, and you have to trust that what you want is within the power of the universal laws to deliver. You have to find ways to trust yourself to believe that you can get what you want. And more than anything else, you have to abandon your expectation of how this thing is going to come into your life. It’s not your job to mess with what’s been called the “cursed hows”. It’s your job to believe that your desires can and will come to you, and to accept that the universe knows exactly how to manifest it – after all, the universe has far greater collective knowledge and power than you do. Eighth: you have to take action. Yes, you actually have to do something to demonstrate to the universe that you’re serious about what you want! Contrary to what some “experts” on Law of Attraction say, this doesn’t have to be “massive irreversible powerful action” where you “burn your bridges”. In fact, baby steps are probably best. Now, read on, because all of these ideas and concepts are covered elsewhere on this site. 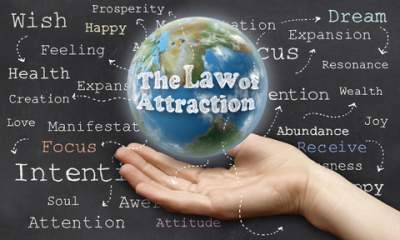 Discover The Unlimited Power Of The Law of Attraction! You can manifest reality easily – and we explain how! Click here to find out how! Transform your life immediately, within days, with our incredible guide to manifestation and the Law Of Attraction – which makes failure IMPOSSIBLE! Discover How To Use The Law Of Attraction And Get What You Want – FAST!